We have some very exciting new litters - have a look!! 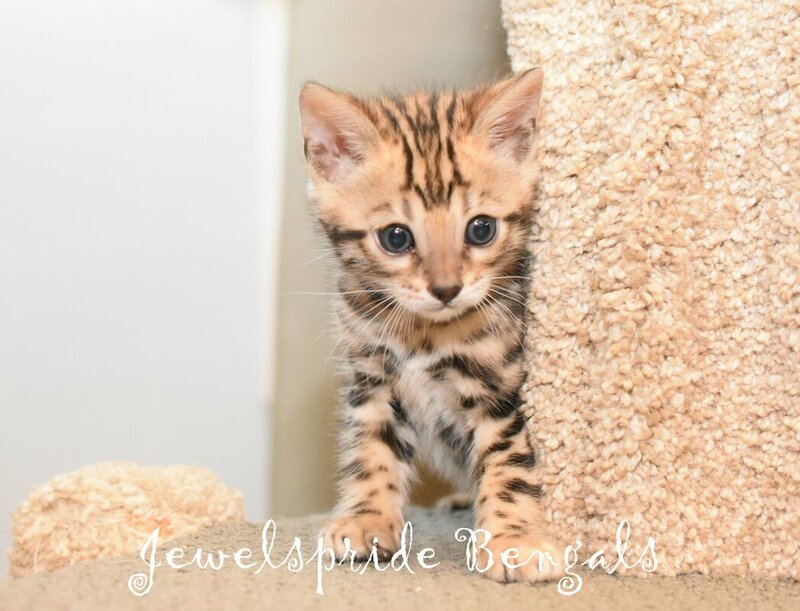 ​​"LIFE IS BETTER WITH BENGALs"
We have some wonderful new litters of kittens at the moment for our wait list to choose from... To be added to the Kitten Wait List, please fill in the online Kitten Application. The wait list can grow quite rapidly at this time of year, so even if you will not be ready for a kitten for several months or a year+, please save your place well in advance to ensure you are able to choose when you are ready. EVERGREEN CAT FANCIER'S SHOW, Ferndale, WA January 2019! 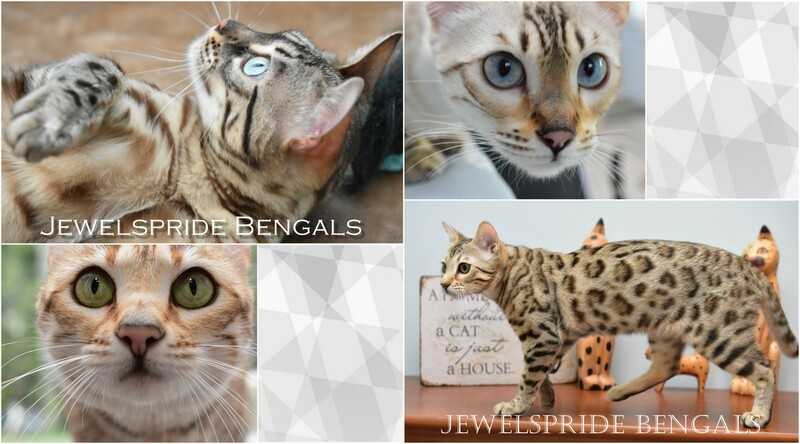 PORTLAND INTERNATIONAL CAT SHOW 2019! 2019 Heart Scans have been completed on our cats now! * Our breeding cats were scanned by board certified veterinary cardiologist Dr. Kim Hawkes for hypertrophic-cardiomyopathy (HCM) on April 6, 2019 and we are happy to report that they all screened clear! 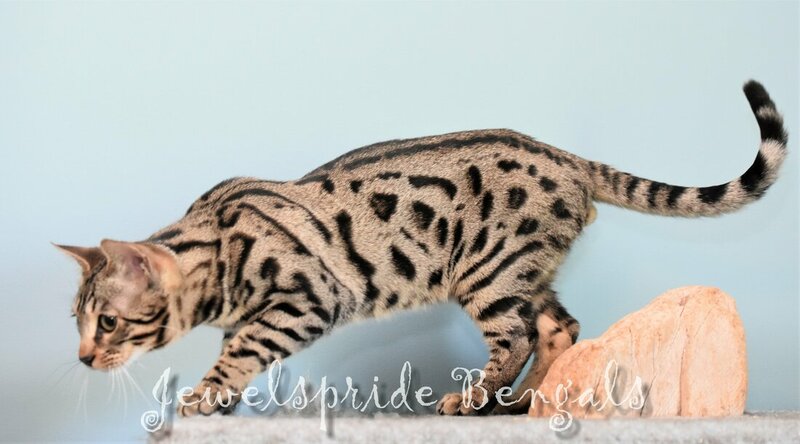 You can read more about this disease and its occurrence in bengals here: Bengals and HCM. ​* Updated pages: "Basic Harness Training", "Bringing Your Kitten Home", and "Introducing Your Kitten to Existing Pets". * Raw Food * We are now offering a variety of raw food - in addition to our regular chicken recipe, we also have Duck, Turkey, and Kangaroo. We sell our cat food in 250 g plastic reusable containers ($2.50 for chicken, $3 for duck and turkey, and $4 for kangaroo. Some helpful information on raw feeding: Feeding Your Cat: Know the Basics of Feline Nutrition. * Planned Breedings * Find out what breedings we have planned throughout 2019. * Cat Boarding (for Kitten Clients Only) * We offer boarding for our kitten clients at $25 per night per cat or $40 per night for two cats. Each full weeks' stay receives one night free. Longer term stays of 30 days or more are discounted further (please enquire). Just bring your cat's food and favourite toys and we'll provide the care and love while you enjoy your vacation. Consider purchasing a cat wheel for your bengal... bengals have more energy to burn than you can imagine and a wheel in your home will promote proper daily exercise and ensure that behavioural issues resulting from boredom and pent up energy will not develop. I would send one of these Ferris Wheels home with each kitten in the Kitten Pack if it were feasible!! ** We get no perks from the company - this is simply the best wheel which is why we recommend it - and it makes us happy to know our kittens will have one to play in. Each of our kittens comes to you with FREE pet insurance coverage for 6 weeks!! All of the information regarding your pet insurance coverage will be sent home with your kitten. * I will also supply some freshly made raw food for you to take home for the transition period, along with my recipe should you choose to continue feeding raw.